Are you striving best to achieve small business revenue? But not yet getting results due to your limited budget? Then, this writes up on the usage of free email marketing software offers could help you to uncover the hidden way to skyrocket your ROI and sustain your business. About every individual (perhaps you as well) used to suffer from a lack of enough solid prospects at the initial stage due to limited or zero budgets. You can’t pay for paid ads in the social media. You’re to take huge patience over further quick learning on the SEO and its results up to time. In the forums, you are a novice, can’t attract the forum traffic – takes time. If you are literally the member of this sort of vicious cycle of the narrow-investment-poor-traffic club, then it is high time to come off such shell of curse using the free email marketing plans. It’s tons of importance to feel out the reasons why email marketing is essential. Still, the topmost revenue path of online business is the source of direct traffic that comes through personalized email marketing. Every single day marketers and entrepreneurs are sending 205 billion+ emails for their business growth. This volume of daily emails is predicted will reach at 246 Billion by 2019. Research found that on average every single 1 USD spending on email marketing you could expect to be rewarded with a return of 48 USD. It is obvious that you could boost your level of revenue using at least a comprehensive bundle of free plans that offer by the email marketing software companies according to their strategy for business promotion. It might be more advisable in terms of your serial blogging enterprises if every blog represents each of their individual niches. Before assessing the key techniques of how to be formed a comprehensive bundle of free plans, let’s see the 12 dedicated free email marketing plans that the companies offer you to pay them the chance to make you an entrepreneurial persona. Mailchimp is powerful, free software that works for all sort of business. It offers free plan delivering 12,000 emails per month for 2000 subscribers. In terms of price, it offers the plans are designed according to the new business growing up whether with or without investment. Favors to build targeted emails, follow up and back-in-stock messaging. Provides a magnificent platform to develop relevant campaigns that are designed to their requirement. Easy to create a stylish campaign using drag and drop designer. Provides standard UX workflow multi-user friendly environment. Dedicates powerful marketing automation for the sellers. Provides advanced reporting insights to make the better plan for the next campaigns. Leverages in beautiful FB ads campaign directly from the platform. Mobile friendly well integrated and supported by apps to maintain the campaigns. Flexible API supports clean data management and campaigns with segment and time. Zoho Campaigns empower the design, send, promote and track all your email marketing campaigns using easy tools. 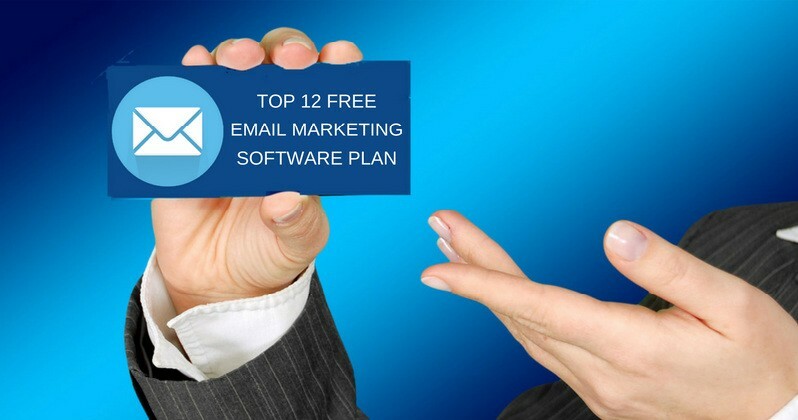 It offers free email marketing software plan for sending 12,000 emails per month using 2000 contacts or subscribers. Make the campaign easy and powerful. Enables email workflows moving subscribers for messaging. Enables increased outreach with social media campaigns. Send, monitor, manage to subscribe list from your mobile device, needn’t go to a web account. Importing scope to find the mail address from Google address book. And, enable your email in your own language. The remarkable demerits on Zoho free plan that it doesn’t leverage workflows, auto-responders, and social media campaigns monitors. Enables inbox preview before delivering. Phone and email support available. Responsive email design in templates. Shows the data how clearly delivers for engaging and next steps. HTML Editor, scheduling system in emailing and social posts. Publish to the web for sharing link anywhere for more engagement. Drag and drop easy email designer editor. Live editing and responsive emails. Email template for multi-occasion, customize colors and code editor as well. A/B testing, inbox checking and reporting features, and so on. Automatic system to clean databases and syntax correction of email addresses. There is a reliable tech support through chat, email and Skype, and so on. SendPulse offers a free plan to care 15 thousand emails per month to 2,500 subscribers. It is a lucrative offer from a provider who focuses their features that they maximize open rate automatically due to their artificial intelligence and hyper-personalization. They also provide service of predictive analysis for e-mail, SMS, Web-Push, and SMTP obviously. Using a single platform you could able to enjoy highest delivery rates and high speedy service while you will be the member of the community of over 320,000 registered users in SendPulse. Their service supports mobile platform. Emails can be present while they are unopened. Drag & drop editor, readymade templates, A/B testing. You have a chance to conduct effective email marketing with your own strategy while you start immediately. They care you start sending emails to their SMTP servers or Rest API. It can ensure excellence in higher flying even more than 2.5 million emails per month as you required. Their intuitive email tools for everyone ensure impactful email marketing. Covers result-oriented email marketing strategy with their email automation, segmentation, Email Automation, A/B testing and campaign comparison tools. It works for you paying more time while you need for growing your core business. It scales out your changing needs and integrates accordingly to boost the result. Also, provides dedicated deliverability support from decentralized offices in 8 countries on 3 continents, and their global ISP relations leverage exceptional deliverability. SmartMailer offers forever free plan for delivering unlimited emails to 2,500 contacts. It’s eager to provide service with list validation, without any contract and keeping up 24/7 support. SmartMailer provides open access to all of their features and smart and affordable email automation. Provides drag & drop email builder using professionally-designed templates. They provide a quality platform with branded and truly unique emails that look great on any device. You have a chance to increase your ROI, with their fast and secure email validation. It enables to keep your mailing lists clean and compliant that maximize your deliverability. Automates your campaign lifecycle, to deliver more profitable engagement. It enables to use auto-responders that automatically messages based on subscriber engagement. Interakt offers a free plan for sending 1,500 emails to 1,000 Contacts limiting with total 5000 Leads generation. The plan will cover total 100 support tickets in every month, total notifications 1 and team members1 in the offer. Delight your customers providing personalized support. Build trust giving your customers 24×7 customer support through faqs. To make each campaign successful in free email marketing, ReachMail offers to deliver 15,000 emails per month to 5000 contacts. It is remarkable bigger free plan than other providers. Ensures effective email marketing campaign designing your email. Leverages to build your opt-in email list. They keep you up in relax ensuring the emails in the targeted audience box. 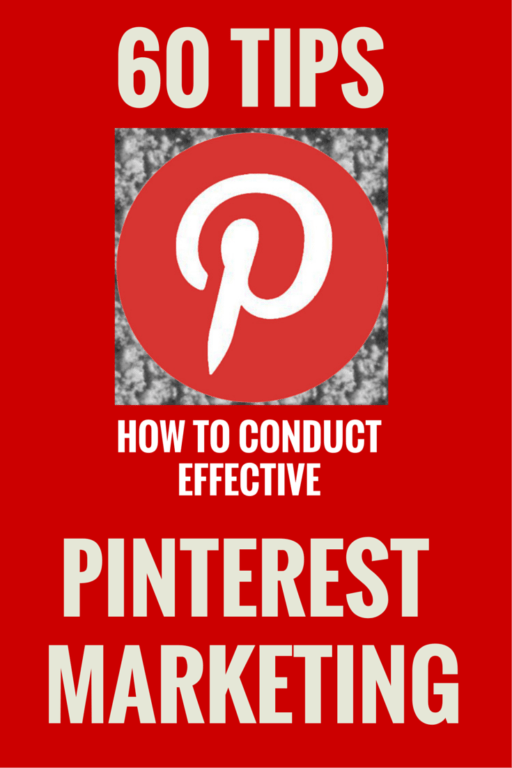 It enables you to show you the results of the campaign instantly. It enables your emails to be posted on the social media automatically. ReachMail provides great deliverability up to 99% to all of the major ISPs. It will keep supporting you using all sorts of ways such as email, phone, and helpdesk. It keeps the list cleaned up and keep the deliverability excellence. Spam checker tool of the plan helps to keep the box spam free and qualified. Provide advanced tools such as autoresponders, API, easy SMTP, survey builder, list segmentation, Message testing and so on. How to choose a Multiplan package that skyrockets your sales? In my opinion, you might choose a bundle of free plans if you’re in a single or series of the blogging business. Why your Multiplan model of Free Email marketing might be a clever decision? The big reason is that you have a chance to use an optimized number of plans according to your number of blogging niche and the segments of email list which are being subscribed to your blog(s) gradually. Because of, the budget limitation is a big obstacle in online business. As much as you can play your budget, you can achieve multiplied result accordingly. In that circumstance, taking an optimized multi-plan on free offers could help you to empower your purchasing capacity for an upper plan. Once while you’ll deserve a paid plan, you might pick out the best one in future to jumpstart the business on the basis of your Multiplan user-experience. In the case of choosing the plan(s), at first, it’ll be clever to configure a state of your own requirement on the basis of your opt-in email list that you avail now. Most of the blogging businesses with a new niche perhaps gather subscribed emails slowly. Your present state of subscribing volume and its rate of growth will permit the significant plans which ones are appropriate for your business. Upgraded paid plan quality for future (when your budget will avail). Online marketing platform. And so on. On the basis of accumulating the best features that weigh the ranks to pick out the better plans, you could finally form your action plan accordingly. How can email marketing help you? Learn the effective email marketing top 12 key Techniques how the tools can help your business. In the recent years, some of the free plans added some ultra-features that are winding up with artificial intelligence to generate the best result in free email marketing software. Every newbie should care them to lift their revenue using newest key techniques. It is highly remarkable that paid offers are always great because of free from provider’s logo or brand on the email template. So, try to jump-start your best-paid economy plan ASAP for your fresh branding in the world of targeted direct traffic. Is this post helpful to you? You might share your favorite one in your comment while you’re using that results remarkable. Sutradhar is a keen enthusiast in web marketing, a big fan of SEO, Getresponse certified Email marketing Expert, and a global b2b marketing professional - engaged in the business network for long. In his blog time, he love's to work on web traffic for helping small businesses and affiliate marketing people around the web.